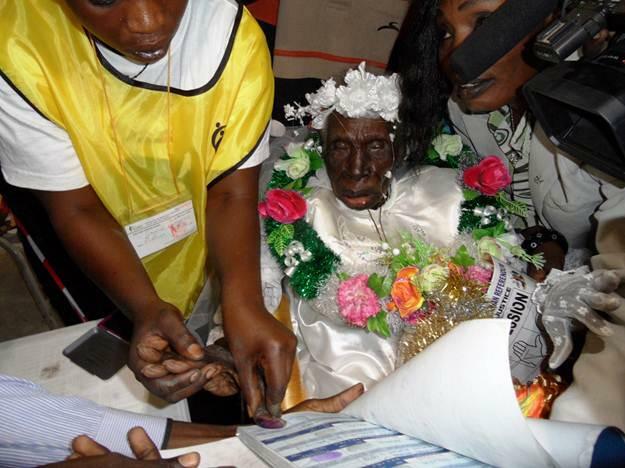 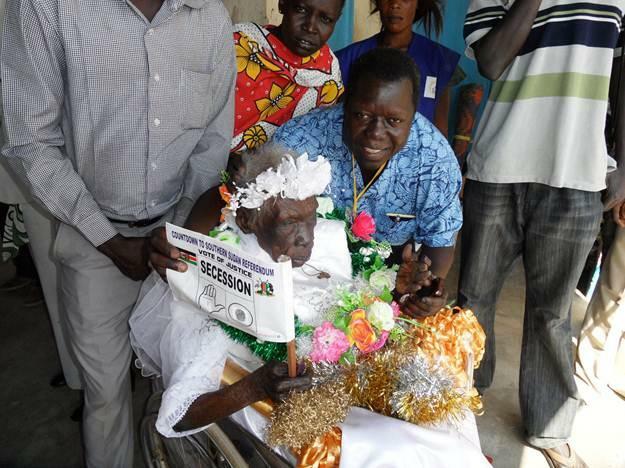 Praise God, today, January 12, 2011, an old South Sudanese woman of 115 (One Hundred and Fifteen Years) of age has Voted for Freedom and Separation of South Sudan in Juba, Capital of the Republic of South Sudan. 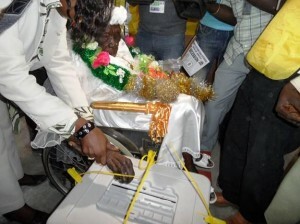 I Praise God to give us Salva Kiir, I want to tell Salva Kiir that he is put in power by God, because God chooses good people like Salva Kiir to take his people to the Promised land. 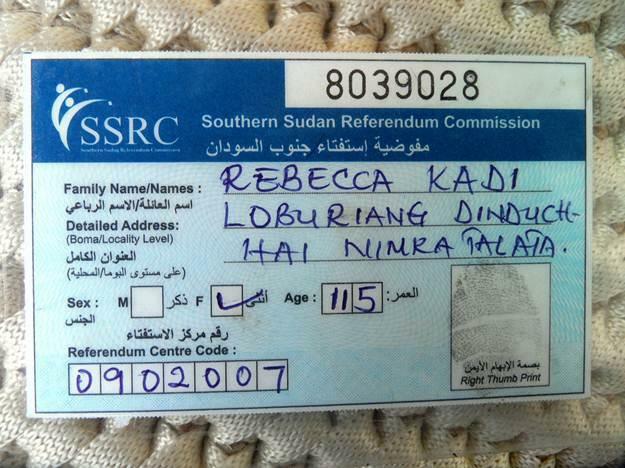 I want to see Salva Kiir before I die because I want to tell him that he will live more than me, said Mama Rebecca. 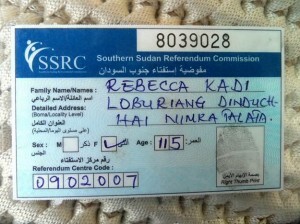 All the major world’s media outlets covered when Mama Rebecca was voting for Freedom of South Sudan. People of South Sudan, let us give Glory to God for keeping this old woman alive so see can witness the Freedom of the People of South Sudan.